The action packed bumper pack combines both Slime Lab and Hyperlauncher Rocketball Factory. Discover bouncy ball-istics and slippery slimes! Create ghastly blood clots and exploding slugs, grow gruesome tapeworms, and shock your family with fart-putty and bouncing do-dos … all by the magic of chemistry! Make Cosmic Ray Launchers and Supersonic Bouncers. 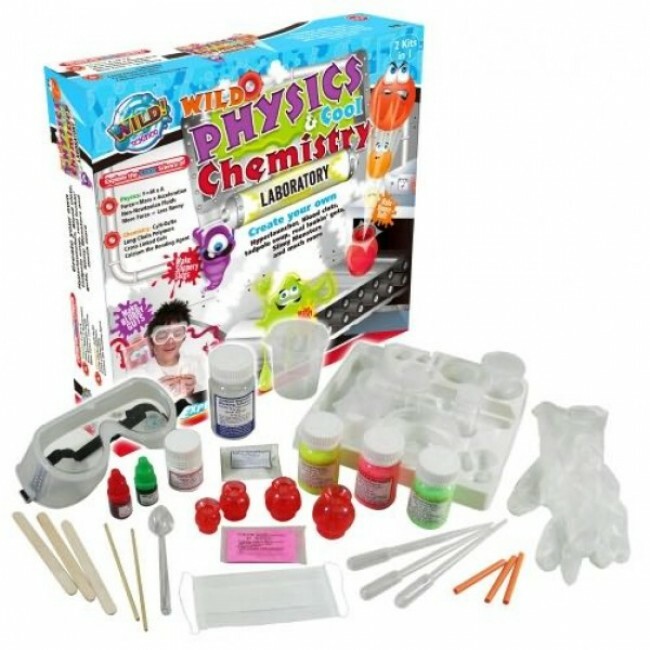 Discover the science of elasticity, polymers, energy and motion with this fascinating science kit! Each kit contains enough material for the experiments to be repeated several times.